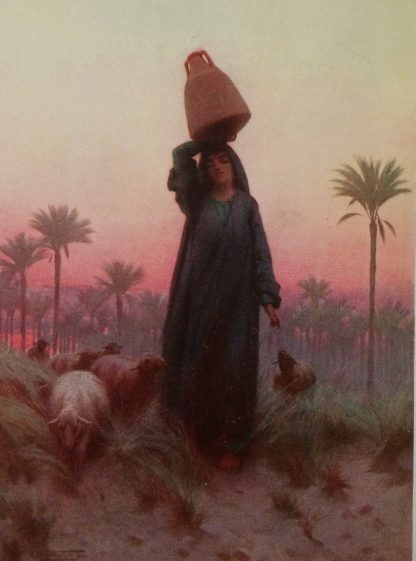 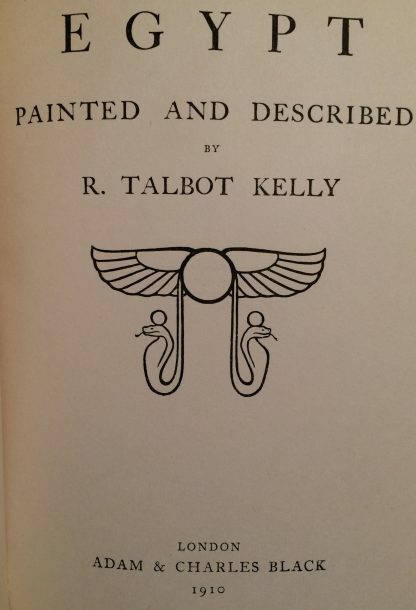 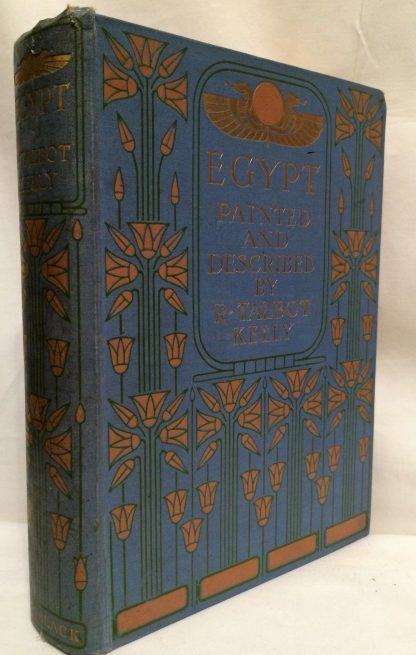 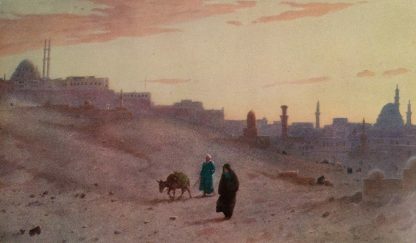 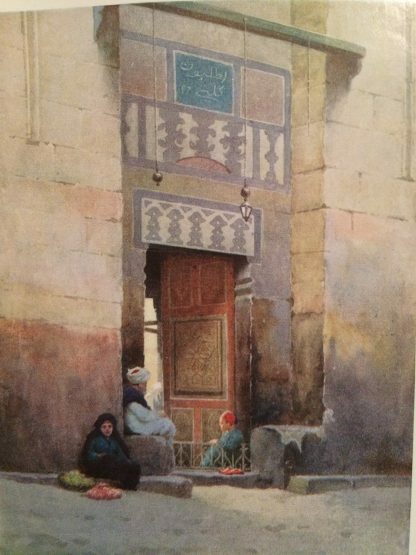 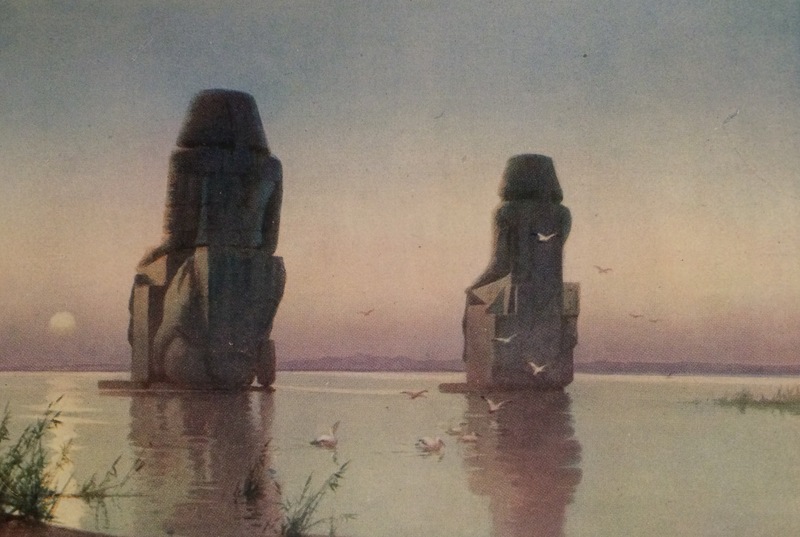 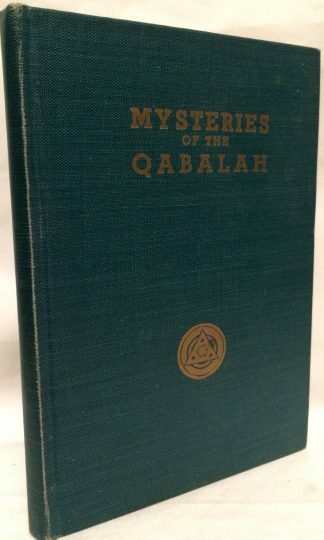 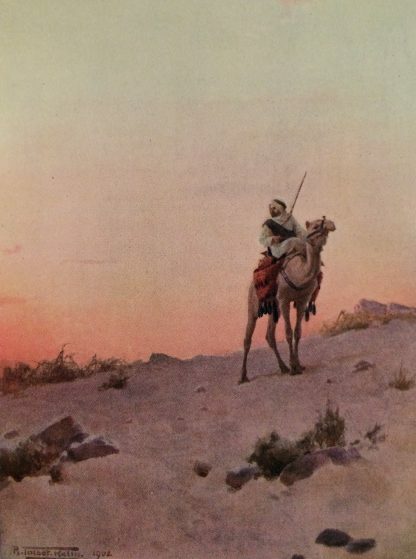 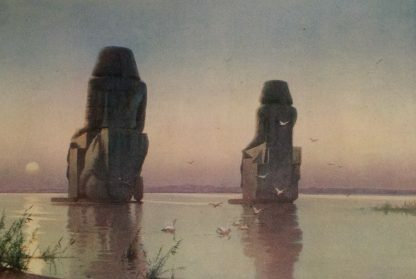 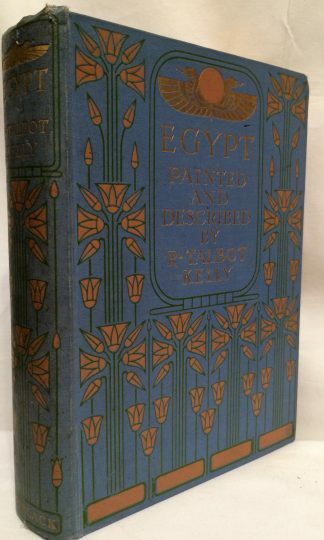 Egypt: Painted and Described by R. Talbot Kelly, published 1912. Section: Cairo, Streets and Bazaars, The Nile, Mosques, Religion, etc. 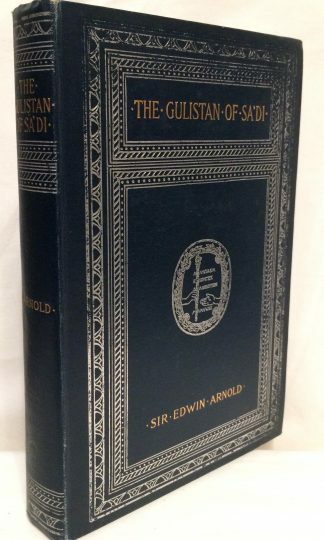 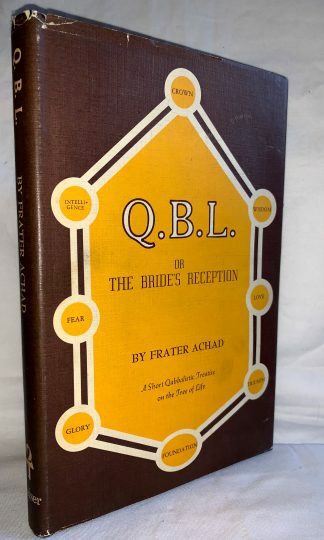 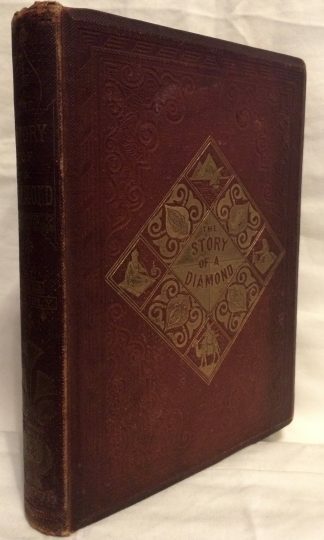 Bound hardcover in a beautiful decorative embossed boards in blue and gold. 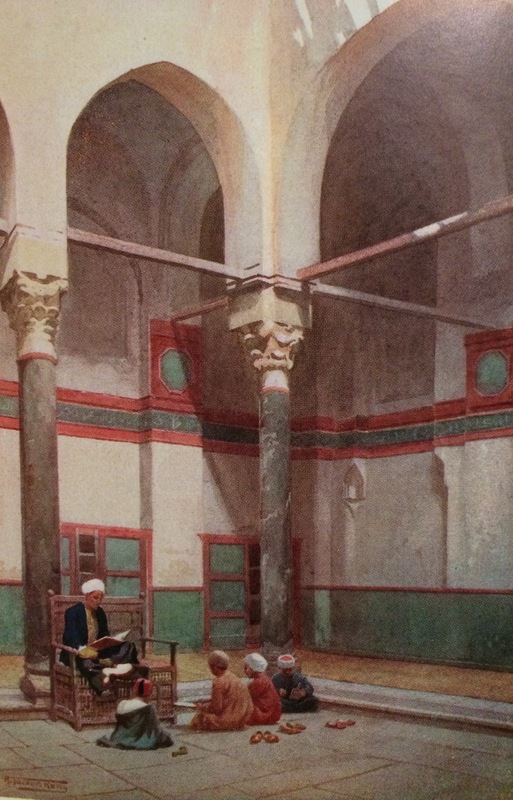 Shelfwear to corners and ends.